READ 100 Great Operas and Their Stories: Act-By-Act Synopses FREE online full book. in the United States by Doubleday, a division of Random House, Inc., in 1957. The Anchor Books edition is published by arrangement with Doubleday, a division of Random House, Inc.
Simon, Henry W. (Henry William), 1901–1970. 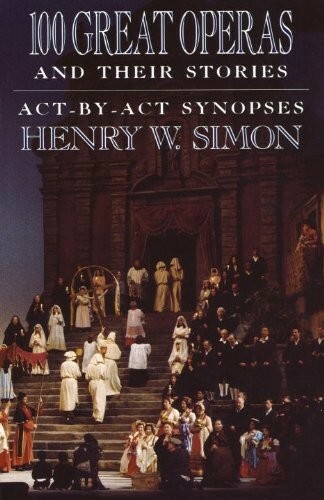 100 great operas and their stories / by Henry W. Simon. —A new rev. and abridged ed., 1st Anchor Books ed. Rev. and abridged ed. of: Festival of opera. 1957. 1. Operas—Stories, plots, etc. I. Simon, Henry W.
(Henry William), 1901–1970. Festival of opera. II. Title. III. Title: One hundred great operas and their stories.